Fortnite a free third person shooter released in 2017, combines elements from various shooter and construction games. When released, Fortnite was a paid/retail release. The first game has since been renamed to Fortnite: Save the World is a co-operative player vs environment game. In it four players team up to save the world. An alternative Earth has been consumed by mysterious storm which has eliminated 98% of the planet’s population. Players must work together to survive collecting resources, base construction and defense. This first Fortnite game mode was a retail release available for the PC, Mac, Xbox One and Playstation 4. Fortnite: Battle Royale is the second game mode that was released. This is the game everyone talks about and the one that has made Fortnite a worldwide success. 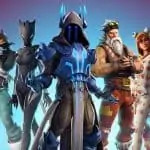 Fortnight Battle Royale is a single player versus player battle royale game. It support games of up to 100 players. Players enter the game world via airdrop with out any weapons. As soon as they land the hunt is on. Players will search for weapons, construct bases and battle up to 99 other players to be the lone survivor. In addition, players will need to be aware of the mysterious ice storm. The storm closes in around them resulting in a map that shrinks every very few minutes. Fortnite Battle Royale features a solo, duo and squad based games. In solo, its you against 99 other players. Similarly, Duo features 50 teams of 2 players and Squad has teams of 3 or 4 players. The primary objective of each is the same, be the last person/team standing. Finally, the third Fortnite game mode is Fortnite Creative. Set on an island Creative is a sand box style game mode. The game can be loosely compared to Minecraft where players have the freedom to explore and create their own world. Building forts, arenas and more. Fortnite: Battle Royale is a free to play game, you can download and play right now and not pay one penny for the fun. However, the game offers two tiers of player achievements. 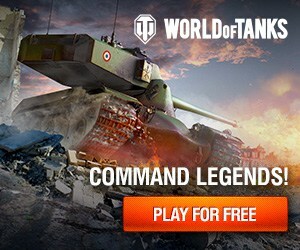 Free Pass and Battle Pass. Players can stay in Free Pass for as long as they like leveling up and gaining some minor rewards. Battle Pass is the premium offering which uses Fortnite’s in game currency V-Bucks. These V-Bucks cost real money but as a result of purchasing players will be able to unlock a wide array of perks, rewards and exclusive challenges. Fortnite download is available exclusively via Epic Game’s digital distribution platform Epic Games Store. Simply download the Epic Games launcher, register an account and you’ll be able to download and install Fortnite: Battle Royale for free. In addition to Battle Royale, Epic Games intends to release the Save the World as Free to Play sometime in 2019. How Free Is Fortnite: Battle Royale ? Fortnite: Battle Royale is free! You should not have to pay anything in order to play.